If you want to get better at running a double action trigger, Ernest Langdon is on the short list of the best instructors uniquely qualified to show you how. 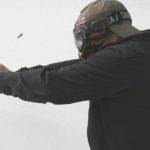 I recently got to spend some time with Ernest at his local range in Arizona to film a few things, including this interview all about double action trigger technique. A lot of shooters are intimidated by revolvers and pistols with double action triggers. 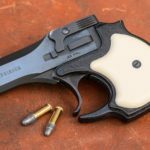 These guns do require a little extra effort to learn, but can be quickly mastered once the shooter understands the ways that manipulating a double action trigger differs from single-action or striker-fired pistols. CHRIS: Hey guys, Chris here from LuckyGunner.com with Ernest Langdon and we are going to talk about manipulating the double action trigger. If you guys have been following our pocket pistol series then you’ve probably noticed a lot of these pocket pistols, whether it’s a snub nose revolver or a little pocket .380 or a .32, most of these come with fairly long, fairly heavy double action triggers. But the fundamentals of running those triggers don’t really change a whole lot whether you’re running one of those or a full sized gun like this Beretta 92 here. So Ernest Langdon is the DA/SA guy, so why don’t you talk about how you make these triggers run because a lot of people are really kind of intimidated by that. ERNEST: Yeah, it’s interesting, the double action trigger pull is not new at all. If you look at law enforcement and the military in certain cases, especially the Air Force and certain special operations groups, double action revolvers were very common. In the early days of law enforcement that’s what everybody was shooting and a lot of that knowledge on how to roll through and pull a double action trigger pull has kind of gotten lost. Now it seems like it’s some sort of close-held secret. And it’s not really a close-held secret. The common thing that I see with most people when it comes to a double action trigger pull is they want to pull the trigger pull like they would a single action. What that means is they want to put their finger on the trigger all the way fully extended and then try to hammer through that trigger all at one time like it was a single action pull. And that’s very difficult to do. Conversely, the other thing that we see people do is they’ll try to stage the trigger. They’ll try to pull it all the way to the rear and then get it very, very close and then finish it. And that’s a little bit ridiculous because we’re primarily talking about defensive shooting and staging a trigger pull when someone’s trying to, you know, chop you up with a machete is not really practical. So, the reality is we can do whatever we want, we can pull the trigger however we want as long as we don’t disturb the sights. And it’s really easy to say “do whatever you want just don’t disturb sights.” The problem is learning how to do that. And what I find for most people is the big help is to learn to roll through that trigger in one continuous movement — a continual press all the way through while you’re maintaining that sight alignment. I like to use the term either to “stroke” the double action trigger pull or to “roll through” the double action trigger pull. That verbiage seems to help people understand how to do that. CHRIS: As far as staging the trigger, if you if you came up on like a more difficult shot, like 25 yards or beyond, are you still not staging the trigger at that point? You’re just rolling right through or is there a place for staging? ERNEST: Sure, there’s a place for staging to an extent. 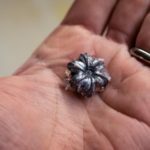 When we start getting to really difficult shots, we’re going to have to clean those sites up before we finish that press before the gun goes bang. You’re “staging” but you’re never stopping the trigger pull. Meaning, I’m continuing to press the trigger to the rear while I clean those sites up. It may slow but I want it to continue to move because what I find is if I stop completely and then I try to restart, that’s when bad things happen. CHRIS: Right, so you’re still moving, it’s just the acceleration or the momentum of the trigger is kind of changing based on what you’re seeing in the sights. He knows how to pull a double action well, he shoots revolvers and J-frames a fair amount and what it did was, by him knowing how to do that, it gave him more feedback from the gun that he was doing the right thing. The way I would I would explain that to most people that may not understand it — what happens is, when we have a short, crisp trigger pull, when we present that gun, we try to find that perfect sight picture and we go, “Aaaaaand… THERE IT IS!” And then we try to finish it. ERNEST: The “Now Syndrome”: “There is the perfect sight picture, now let me use this beautiful, crisp trigger pull.” And then they pull it. Whereas with a long DA, we know that we’ve got to kind of roll through that thing. So it gives us a little bit more visual patience and a little more feedback through our trigger finger to get that timing right. And so the times actually get as good or better and the accuracy doesn’t degrade at all. CHRIS: So a lot of people, when they’re first trying to learn a DA trigger, I think what might hold them back a little bit is placement of their finger on the trigger because it’s not maybe what they have been taught traditionally. Can you talk about that? ERNEST: Yeah, absolutely. So there are a couple of pieces to that. For me, personally, my trigger finger placement doesn’t change from double action to single action. A lot of people would argue that, “Yeah I do this with double and I do that with single.” To back back up to “what we’re told traditionally,” we will talk about the center of the first pad, you know, right at the tip of your finger and those kind of things. The reality is, where my finger needs to be is dictated by the size of the gun and the size of my hand. 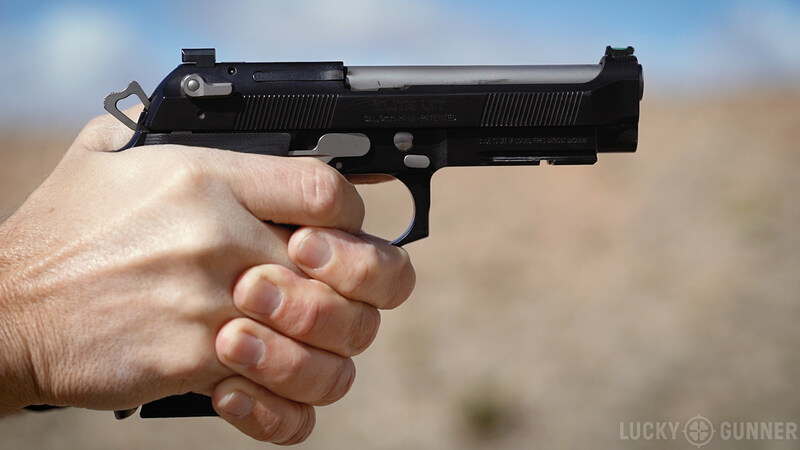 Often, we can get away — if we’ve got a light, crisp trigger pull — with changing that trigger finger placement to where the definition tells us it should be. 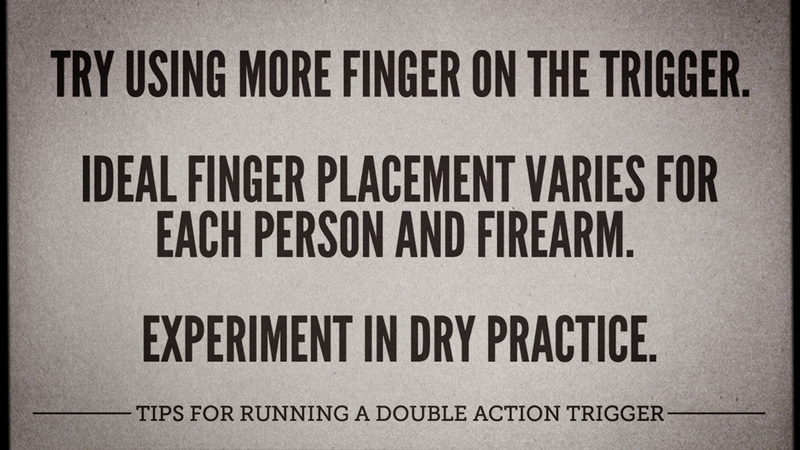 It still may not be optimal, but when you get into a long double action trigger pull that’s heavier, then we start to realize that trigger finger placement becomes more critical. And I find this is the case with pivoting triggers, even in striker-fired guns, that they need to put more trigger finger on the trigger in order to get the proper leverage and the proper release point of that trigger (meaning that I’m still pressing straight to the rear when I do release the tension. The best way, in my opinion, to figure that out is through dry fire. And dry fire at a cadence that is relevant to how you’re going to shoot the gun. What what I’m trying to articulate there is that if I really take all the time in the world and make a dry fire a shot, I can put my finger almost anywhere and I’ll be fine. But if I’m trying to do an accelerated pull like I’m trying to hit a target at an instant moment in time, that’s when I start to see the sights jump around. So, learning where to put my finger on that trigger for me for that gun so that I can pull it quickly and not disturb the sights, that’s going to vary for everybody and dry fire is the way to figure that out. CHRIS: Alright, so that’s Ernest Langdon himself telling us how he does the DA. Work on it in dry practice, work on it at the range and let us know how it goes.